Bitmain’s Equihash ASIC miners Z9 mini as well as Innosilicon’s A9 ZMaster are apparently being shipped and are getting into the hands of some users already. This essentially makes mining Equihash with GPUs pointless and not very profitable, so ZCash (ZEC) is already in the territory of ASIC miners, but not all of the crypto coins that used Equihash are going to just move from GPU mining to ASIC miners. 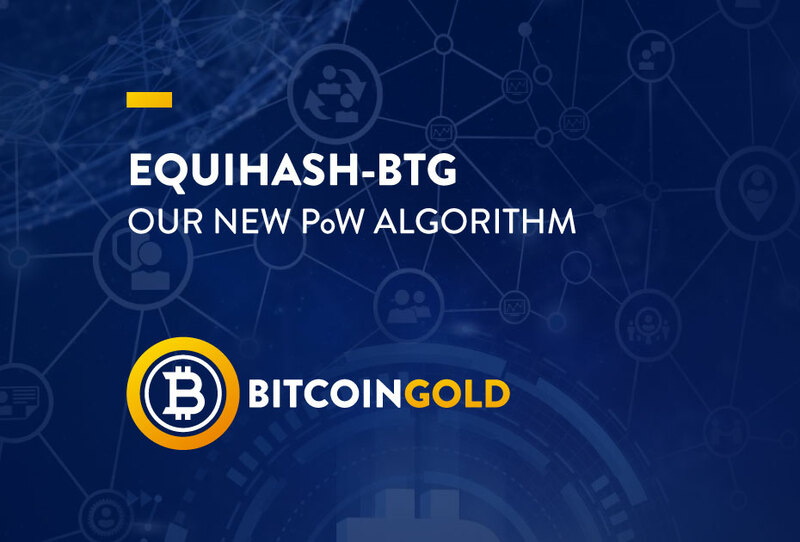 Bitcoin Gold (BTG) for example is going to switch to a new proof of work algorithm they call Equihash-BTG which is essentially a modified version of the Equihash algorithm that will not be ASIC mineable. Equihash-BTG is essentially going to fork to a modified version of the Equihash PoW algorithm with parameters that will require significantly more memory thus making ASIC miners harder to be made for it and no so efficient. We have already seen that with ASIC miners having a higher memory requirement makes it not impossible, but more like much less efficient performance wise if we consider as an example the Bitmain Antminer E3 ASIC miner for Ethereum’s Ethash algorithm. So Bitcoin Gold (BTC) will not become ASIC resistant forever with its algorithm change, but it will be safe for quite some time at least as we all know when there is an incentive (a lot of money involved) nothing can stop the ASIC miners. The change of the PoW algorithm used by Bitcoin Gold will become active with a Hard Fork, though there is still no information or a planned block number or date when the fork will happen. So for the moment BTG is still using Equihash and can be mined using ASIC miners designed for this algorithm, but when it switches to the new algorithm it will be GPU mineable again and hopefully it will be still worth mining it by that time.